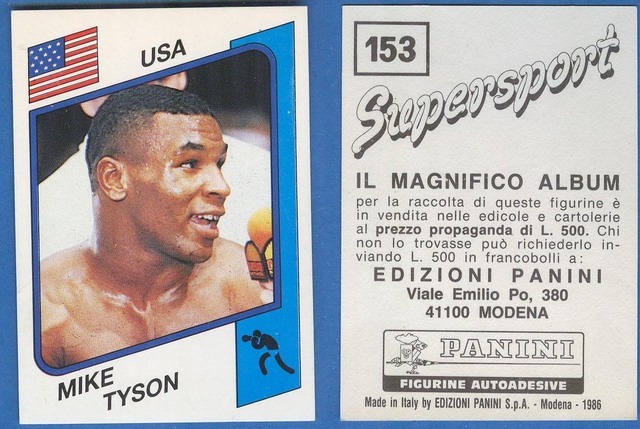 1986 Panini Italian Mike Tyson RC. The cards were issued in multiple languages. Italian is tougher than English.